I decided I needed to start keeping a Sewing Project Diary. But why? you ask…. 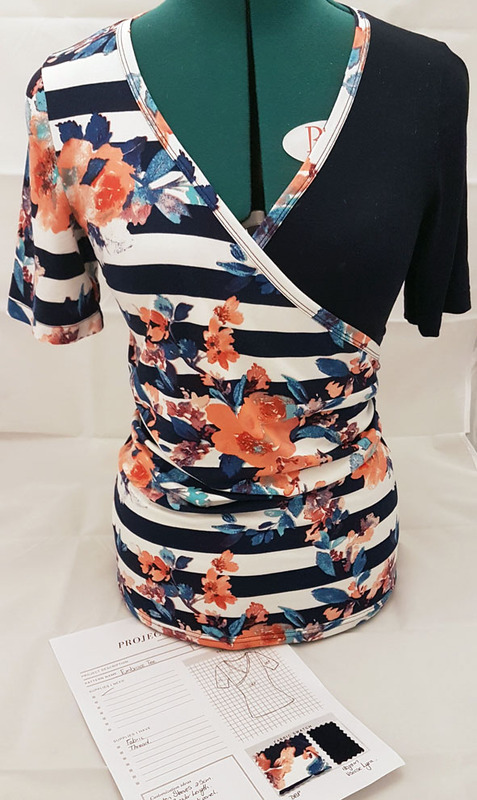 Have you ever made something, then a few months later you want to make it again and you cannot remember what size you made or what fitting adjustments. Or even which pattern you used? No? Well, that’s me, I’ve done it countless times. So, I decided to start keeping track of the items I’ve sewn. On Facebook I saw a post by someone with a cool looking project sheet where you can make a drawing of the item you are sewing and attach samples of the fabric used. I didn’t save it, and then couldn’t find it again, so off to Pinterest I went. I only managed to find 3 “sewing journals/planners”, this one by diydanielle.com, this one by sewmamasew.com and this one by simplesimonandco.com. All of them were nice, but had things I didn’t need/want or were lacking things that I’d like to keep track of. I’m sure if I kept on searching I would’ve eventually found one I liked better. I just didn’t want to go to all that effort. I decided to go to even more effort and make my own…. Yes that’s right, I went on and created my own sewing project diary sheet to keep a record on, with all the info I want on there. It has space for info from 2 different patterns because I like to make sets of things. And they don’t necessarily form part of the same pattern. Then, my favourite part. It has a space for a line drawing of the patterns and a sample piece of the fabrics I used below that. There is a space for a list of the items required to make the pattern/s and they can be ticked off if I have them. Below that I can make notes about any changes I’ve made to the pattern as well as any changes I’d maybe want to make if I make the same pattern again. There is tick list to track my progress while making the item. And last but not least a space to note for who the item was made, when it was made and if it was for a special occasion. Because this was for my personal use, I’ve made it in Afrikaans. But I like it so much and have subsequently decided to create an English version and offer it to my newsletter subscribers. As a freebie ofcourse! When you sign up for my newsletter below, you will receive a link to download my Sewing Project Diary, FOR FREE! All I ask is that you not share the link directly with anyone, but rather send them to my website to sign up & download their own copy. Already a newsletter subscriber? Don’t worry, you will receive a link for the download in today’s newsletter. Are you keeping track of what you are sewing? If so how? Or do you feel it’s a waste of time? Why? Please share your thoughts with me in the comments….